Permatron’s air filter media capabilities include material slitting, sheeting, die cutting, sonic welding, sewing, fabricating and assembly. 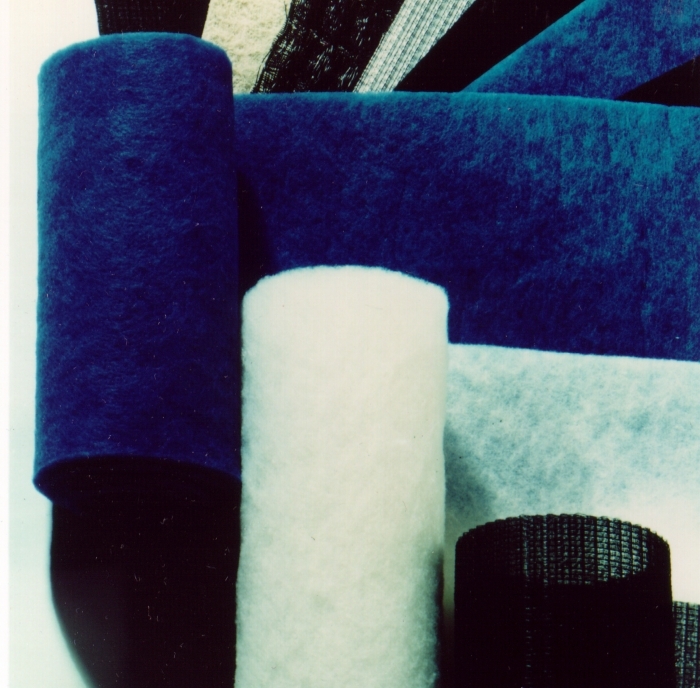 Permatron works with a diverse selection of washable and disposable air filter materials or ‘media.’ Permatron offers virtually unlimited options for air filter materials such as paper, fiberglass, bulk carbon, zeolite and more. Air filter media is available in filter media rolls by the linear yard or as custom sized pads. Our most popular air filter materials are listed below and spec sheets can be downloaded from the bottom of this page. 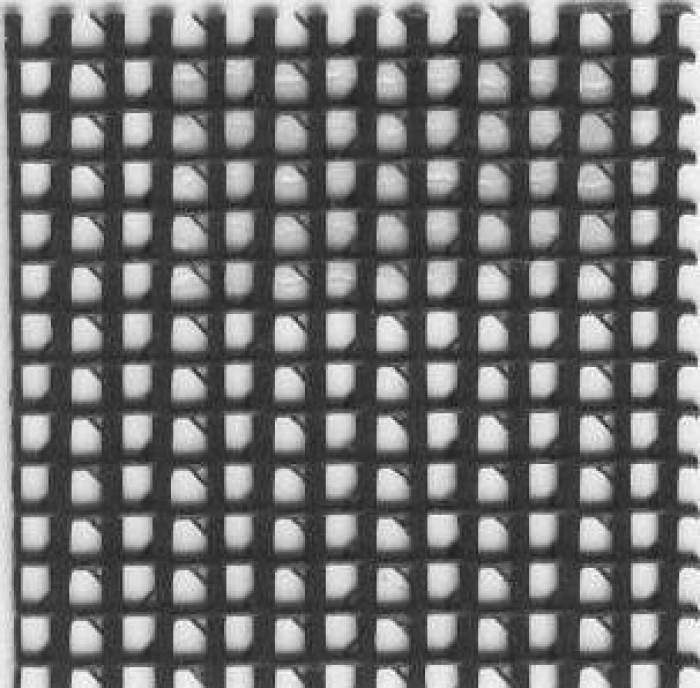 Nonwoven polyester is impregnated with a finely ground activated carbon coating to increase the surface area available for adsorption, and heat-set to retain the activated carbon coatings even when the media is rinsed or vacuumed. This is a dual action air filter media for particulate and odor/fume/gas removal. Model ACF 3.2 – .187″ thick black air filter material containing3.2 ounces of polyester per square yard with a carbon coating weight of 4.8+/- 0.82 ounces carbon per square yard. Model ACF 6.0 – .45″ thick black air filter material containing 6.0 ounces of polyester per square yard with a carbon coating weight of 6.0 +/- 1.35 ounces carbon per square yard. Model ALUMCOR Corrugated Aluminum is a single layer of 20 gauge media that has been pleated into .125″, .25″ or .625″ heights. Model ALUMMESHFLAT Aluminum Mesh is the same media as corrugated, only in it’s original flat form. Model ALUM Bonded Aluminum is a three dimensional ,25″ or .625″ thick media that contains several layers of aluminum slit mesh bonded together to create different densities with hundreds of baffle-like surfaces. Nonwoven polyester is a synthetic air filter media. The fibers are randomly dispersed in all directions through an air laid web to form a uniform media of high strength and durability. A high volume of contaminants can be trapped within the complete depth of fiber. 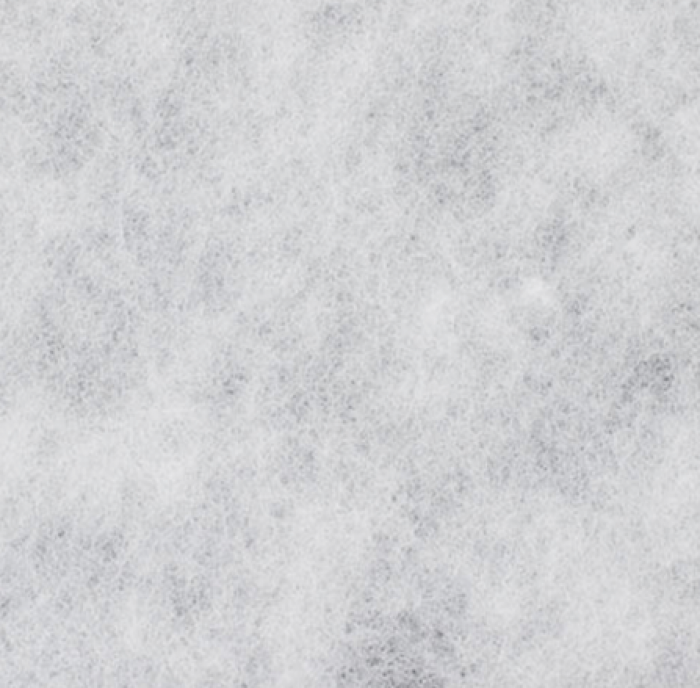 Model NWPE Dry Type Nonwoven Polyester is white media available in .25″, .50″ or .75″ thickness. Model PFLO PermaFlo® Rigid Polyester is a fantastic alternative to hogs hair media and a high performance, economical alternative to disposable air filters. 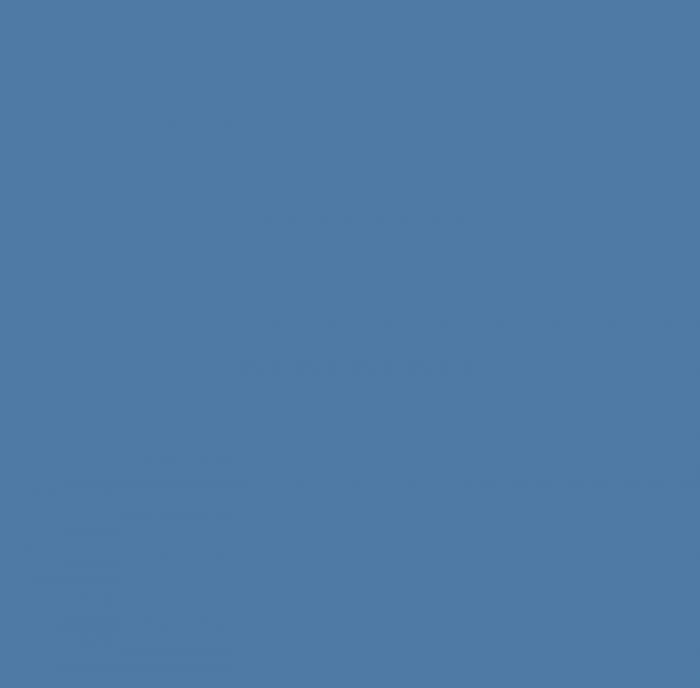 Available in .50″ or 1.0″ thickness, PermaFlo blue or gray polyester media is self-supporting and needs no frame. The polyester fiber does not flake, shed or have sharp edges. The polyester fibers are unaffected by moisture, and clean easily with water for long term use. Media can be cut with scissors eliminating air by-pass. PermaFlo has a bi-directional air flow, and is produced within standard manufacturing tolerances for dimension and weight. Available in service rolls, as well as, standard and custom sized pads. Polypropylene is a synthetic media that comes in a honeycomb weave type, various yarn diameters, and is available in black or natural color. Used extensively within the air filtration industry as an open weave fabric that effectively removes airborne particulates through a combination of impingement and a triboelectric charge (static electricity does not utilize current and does not flow). Electrostatic media features a triboelectric charge as an inherent property for an enhanced attraction of airborne particles, like iron filings to a magnet. Polypropylene is a petroleum industry by-product which has impressive strength and is very resistant to abrasion. Excellent resistance to most acids and alkalies. Good resistance to bleaches, solvents, aging, indirect sunlight and abrasion. Not attacked by mildew, this media will not disintegrate, unlike other air filter medias. Natural white polypropylene media is an FDA approved component, and can be used in food processing applications. Black polypropylene media is UV protected, and can be used outdoors or in conjunction with UV lights. We offer a sonic sewn edge for polypropylene media. The media can be cut to your custom size, and sonic welded in single, double or triple layers with a clean finished edge in place of a vinyl binding frame. Model WHC12, Model BHC12 is a 12 mil yarn type synthetic air filter media that comes in a honeycomb weave type, and available in black or natural white color. 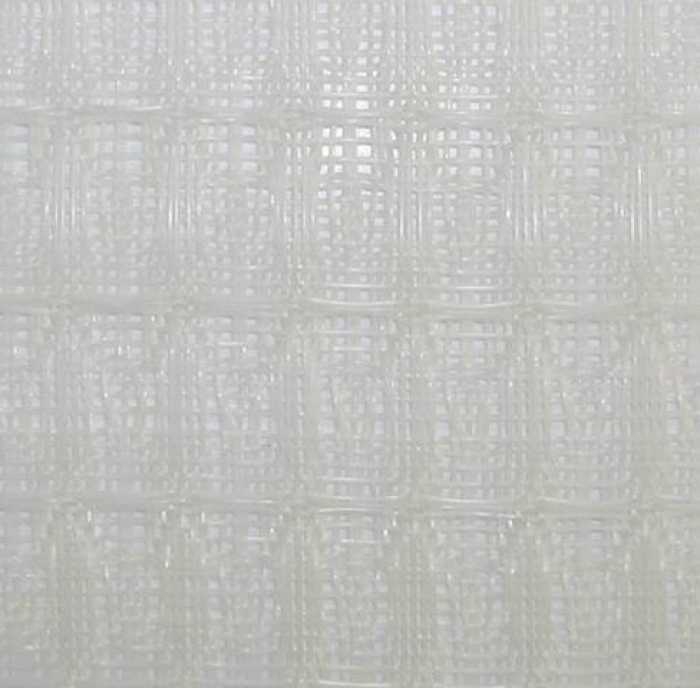 Model WHC20 is a high loft 20 mil yarn type synthetic air filter media that comes in a honeycomb weave type, available in .50″ thick natural white color. Model PCOOLMEDIA is a unique self-supporting synthetic air filter media, .25″ thick with a corrugated weave type. 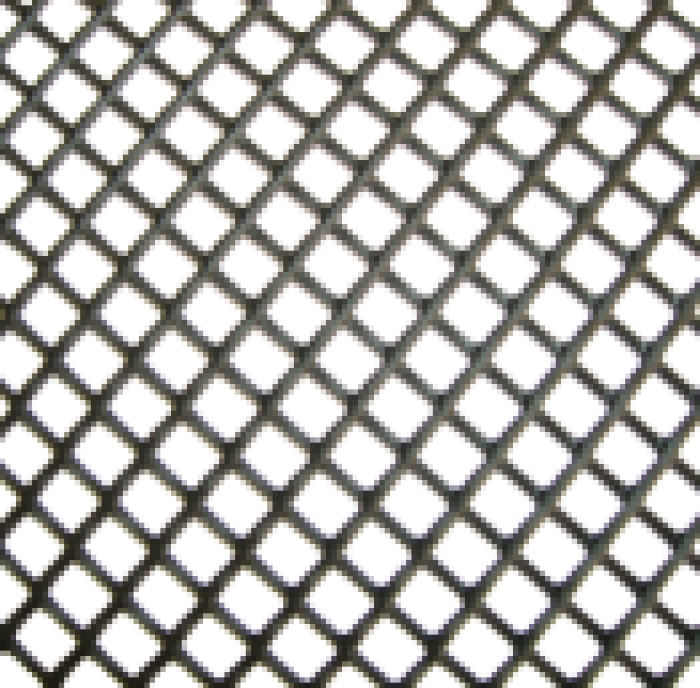 PermaCool material has a dense, 3-layer, waffle weave configuration, which enhances its filtration ability and creates a rigid and durable electrostatic air filter with the convenience of a cut-to-fit solution. Unlike other filter media which may compress and restrict air flow, PermaCool retains its low resistance design after installation. The air filtration media can be rinsed or vacuum cleaned, and will not degrade over time as foam does. Foam is thermally reticulated 15 and 20 pores per inch polyether polyurethane foam. Resilient and flexible, this foam air filter material is reusable and can be rinsed with water or vacuum cleaned. Charcoal in color, the media comes in several thicknesses. Media is available in rolls and cut to size pieces. Model FOAM-20 is a .25″ or .50″ thick 20 PPI filter material, charcoal in color. 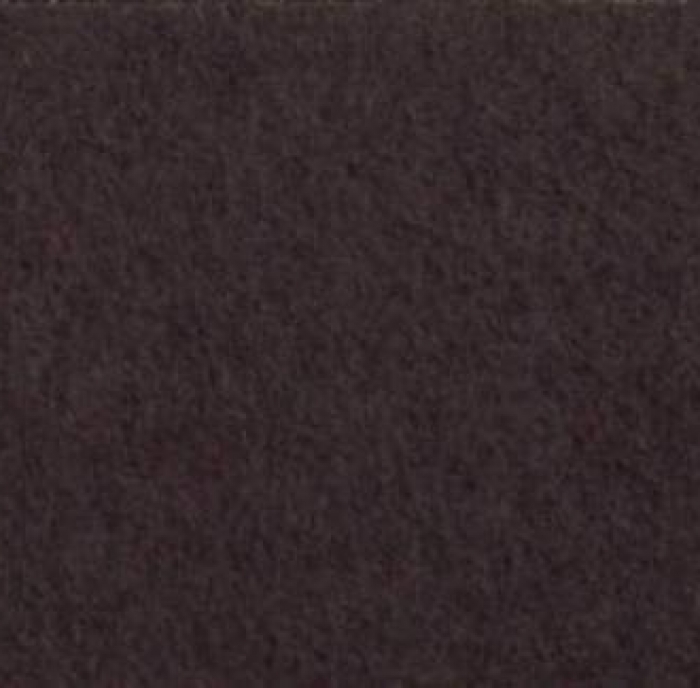 Model FOAM-15 is a .375″ thick 15 PPI filter material, charcoal in color. Rigid black plastic netting with 3/8″ diamond shape openings can be used as a protective barrier against environmental elements, nesting birds, and hail storms or layered as filter media support in air filters. It is UV protected, rot and corrosion resistant for outdoor use. 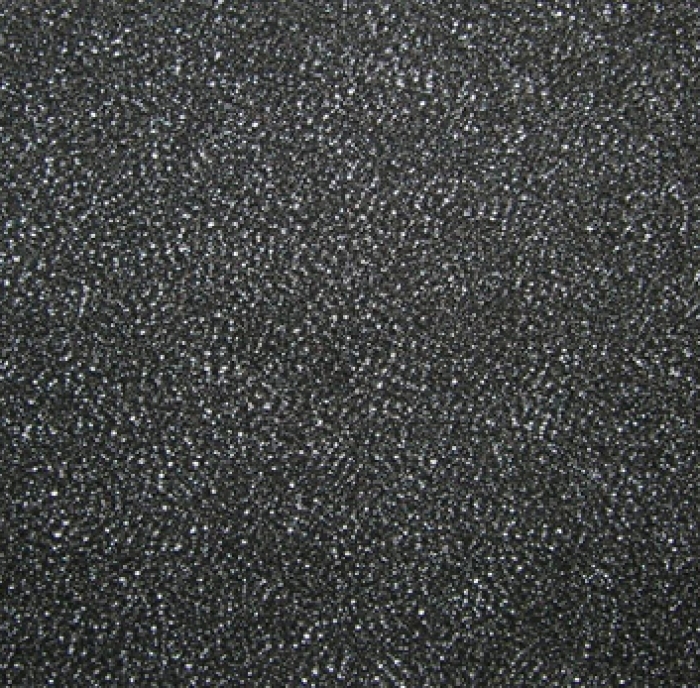 Black 9×9 1000 denier multi-polymer coated polyester mesh. UV protected, rot and corrosion resistant for outdoor use. High grab tensile strength MD115/CD 105-ASTM D 4632 Test Method. High trapezoid tear strength MD 55/CD 40-ASTM D 4633 Test Method. Mullen burst strength 240-ASTM D 3786 Test Method.